Designing a Robotics Class for Middle School Students! The truth is that jobs will be transformed in future. Applicants with robotics literacy and strong tech skills will have a significant advantage when applying for jobs across virtually all industries. School districts are already implementing a STEM curriculum that will help their students be part of that reality. As a middle school teacher how are you applying these concepts in your lessons? Let's explore some key facts that will help us understand the importance of introducing STEM lessons for middle students, and how to prepare them for that big wave of technological jobs coming. Middle school students need to be up to date with the value of learning Science, Technology, Engineering and Math. The main purpose of these implementations is for them to understand the importance of these topics and the positive impact they bring for the kids when it’s time to choose a career path. . 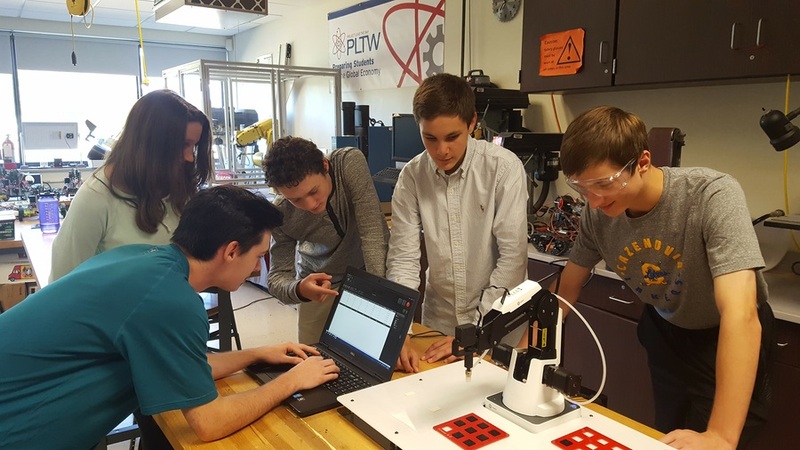 Teaching robotics to this specific group of students takes education to a new level, it gives the students the hands-on learning experience, and compliments all of the subjects of STEM. So it’s a well-rounded approach to educational technology and learning. -NAO Robot: The NAO humanoid robot is the ideal platform for teaching Science, Technology, Engineering, and Math (STEM) concepts at all levels. 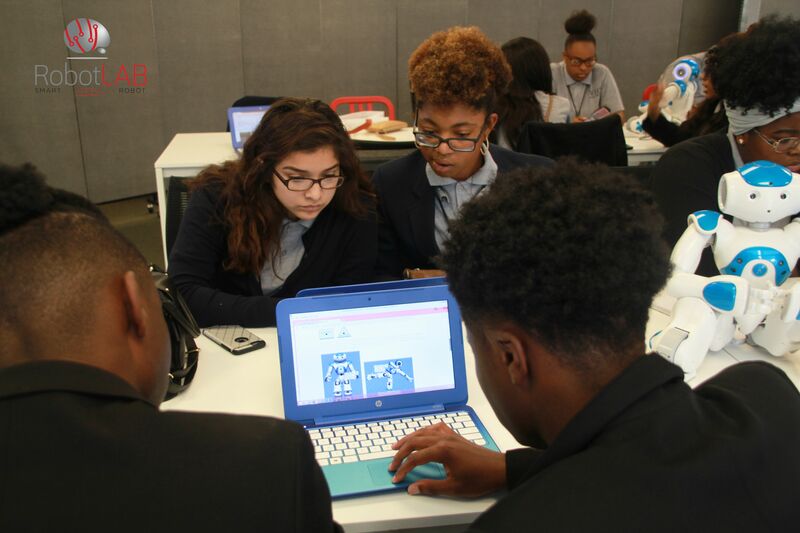 It offers hands-on experience by connecting theory with practice to discover a wide range of fields linked to robotics such as computer science, mechanics, electronics or control. -Drones: You can easily program drones to do whatever you want: follow you, engage in laser battles, go through a maze and more. Whether you are brand new to drones and coding, or you’re a longtime drone lover, you will have a blast with them. -Cubelets: Develop problem-solving skills and computational thinking. Spark the next generation of innovators by introducing procedural thinking, cause and effect, decomposition of complex tasks, pattern recognition, the ability to notice similarities or common differences, abstraction and algorithm design, and the ability to develop a step-by-step strategy for solving a problem - all using Cubelets robots. -Dobot Robotic arm: Dobot Magician V3 is a truly cutting-edge robotic arm made available for your STEAM or CTE program. It's a highly cost effective solution empowering 21st century skills and unleashing students' creativity. -LittleBits: Bring powerful STEAM learning to your classroom. LittleBits provides hands-on learning tools with electronics. LittleBits has been amazing for a student-driven space and has given students the opportunity to explore their passion for engineering. Among other tools, they are the perfect solution for teachers and students to approach STEM concepts and start to master them by building or controlling a robot that sticks around for the future. RobotLAB award-wining platform EngageK12 gathered hundreds of lessons divided by age group and robot, making it easier for teachers to find creative ways to teach different STEM concepts to their students. Drones and kids are a match made in heaven! 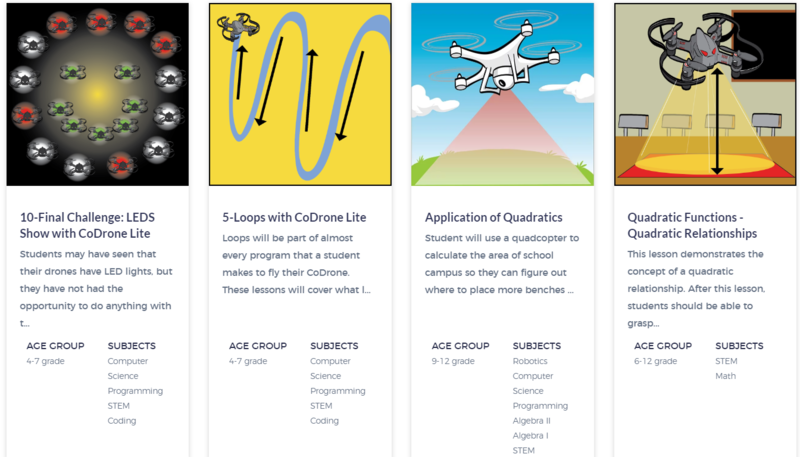 Teach quadratics, math, gravity, acceleration and other kind of topics with drones. Let your students learn to code with drones and engage them by teaching basic concepts of programming. You can find all the lessons on the learning platform. Teach engineering and programming with Dobot robotic arm. Robotics arms are a full integration of mechanics, electronics, and automation. It’s a great STEAM teaching device that strengthens knowledge across multiple subjects for students. Check all the lessons on the EngageK12 platform. 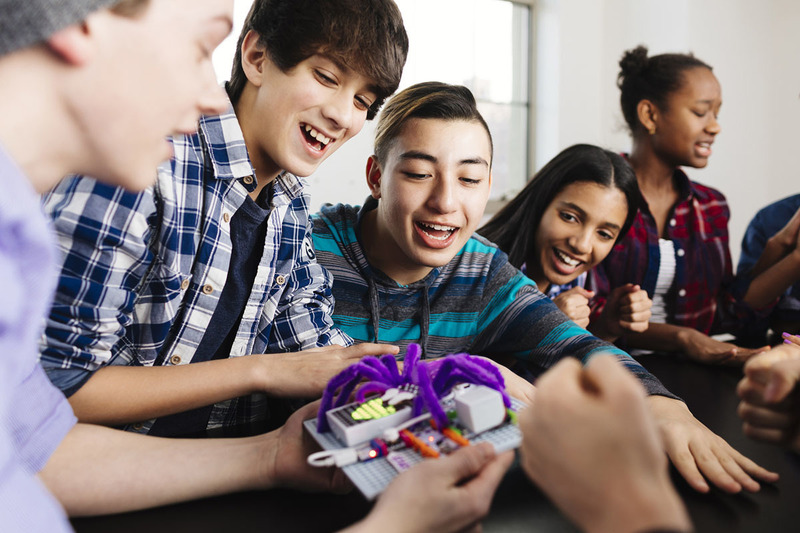 As students improve with robotics and programming, they learn determination, perseverance, and how to plan and process with the use of technology. These are all skills that will further their education, and their future career prospects. Teaching robotics could open different opportunities for kids in robotics competitions because they are working towards a tangible result that they can be proud of.